Wilhelm Lehmbruck worked at studios in Düsseldorf to pay for his education at the Kunstgewerbeschule. In 1904 he travelled to the Netherlands, Belgium and England and after selling some work he was able to visit Italy in 1905. In 1906 his work was shown at several local exhibitions and in 1907 he set up his own studio. In 1908 he married Anita Kaufmann and in 1909 their son Gustav Wilhelm was born. Lehmbruck now frequently exhibited in Paris and supported by the collector Carl Nolden he went to live there in 1910. His work became more and more succesful and in 1912 the Museumsverein Duisburg ordered a marble version of his "Grossen Stehenden". Related to this commission he travelled to Italy for the second time. More invitations to participate in exhibitions soon followed (Berlin, Cologne, etc.). Because of the war he returned to Duisburg-Meiderich in 1914 and in November he went to Berlin, where he had participated in the first exhibition of the Freie Secession earlier that year. 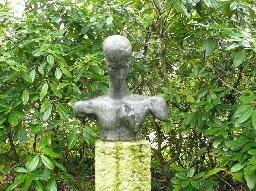 The collector Sally Falk visited Lehmbruck in 1916 and soon bought several of his works with the help of art dealer Paul Cassirer. Later in 1916 Lehmbruck portrayed Falk and his wife in Mannheim, where his first solo exhibition started in November. From Mannheim he travelled to Switserland to wait for the end of the war. In 1917 he visited many performances by the young actress Elisabeth Bergner. She sat for him several times and Lehmbruck, who had fallen in love with her, asked her to read poems by Holderlin at those occasions. Bergner didn't return his affections, and only later she understood why he called her 'Marja': it was a combination of Mascha (the name of the gipsy girl she represented at her first sitting with Lehmbruck) and Tolstoy's Fedja (who committed suicide). 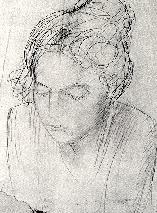 In 1918 Lehmbruck followed her to Berlin, leaving his family in Zürich. However, he must must have been convinced of the hopelessness of his love and the crisis in his life deepened. In 1919 he went to Berlin again. Just around that time he had been elected a member of the Prussian Academy of Art (together with mit Ernst Barlach, Käthe Kollwitz and Lovis Corinth). But the official statement was sent to the wrong address on 19 Mar 1919 and it's unclear if Lehmbruck ever knew about it. Haunted by his depressions he committed suicide a few days later. He was buried in Berlin. Lehmbruck's wife Anita died in Stuttgart in 1961. 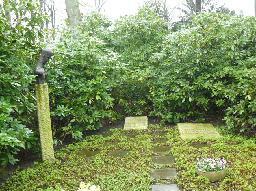 In 1962 the remains of Lehmbruck and his wife were moved to Duisburg. Elisabeth Bergner became a very famous actress and she died in London in 1986. Her memoirs were published in 1978. 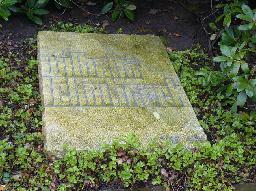 The grave of Wilhelm Lembruck at the Waldfriedhof, Duisburg.